Nothing is more important than your family’s health. That’s why you start with Nebraska Medicine. Every primary care doctor and specialist is part of one of the fastest growing research centers in the country, which means you have access to the latest innovations to keep you healthy. Our health network covers metro Omaha and extends across the region providing you access to more than 1,000 doctors and nearly 40 specialty and primary care health centers to help keep you healthy. 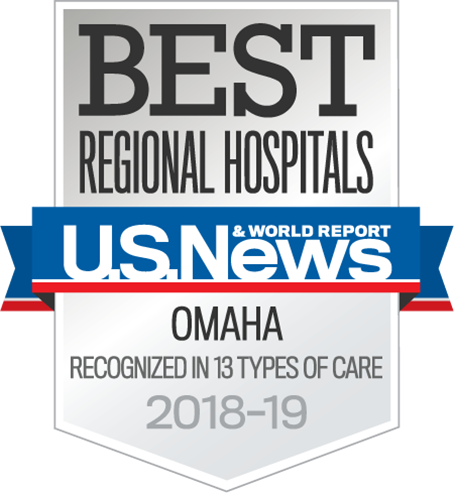 Our two hospitals, Nebraska Medical Center and Bellevue Medical Center have more than 800 licensed beds to deliver our promise of “Serious Medicine, Extraordinary Care.” Our more than 8,000 employees are honored to be part of the region’s leading academic health network. Nebraska Medicine and our research and education partner, the University of Nebraska Medical Center (UNMC), share the same mission: to lead the world in transforming lives to create a healthy future for all individuals and communities through premier educational programs, innovative research and extraordinary patient care. People come from around the country and the world for the unique expertise available from Nebraska Medicine. We trace our roots back to 1869 with the founding of Omaha’s first hospital. In the decades since, our experts have built an international reputation for breakthroughs in cancer care, organ transplantation and treatment of infectious diseases. 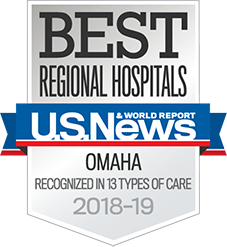 Nebraska Medical Center is the state’s largest hospital and has been named best in the state by U.S. News & World Report for seven years in a row. For five straight years, Nebraska Medicine has also been named to Becker’s Hospital Review’s list of 100 Great Hospitals in America.